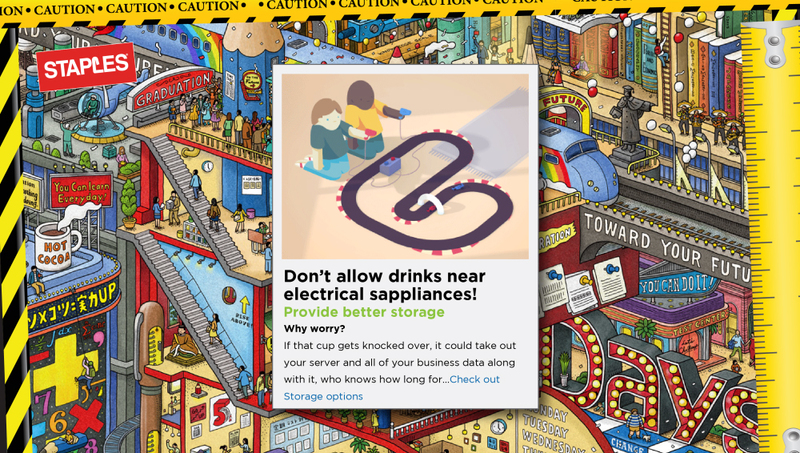 An interactive digital experience designed for Staples, to promote their office products line. The theme was based around hunting the dangers in a standard office environment, through laughing at the calamities of these “Lemmings”. 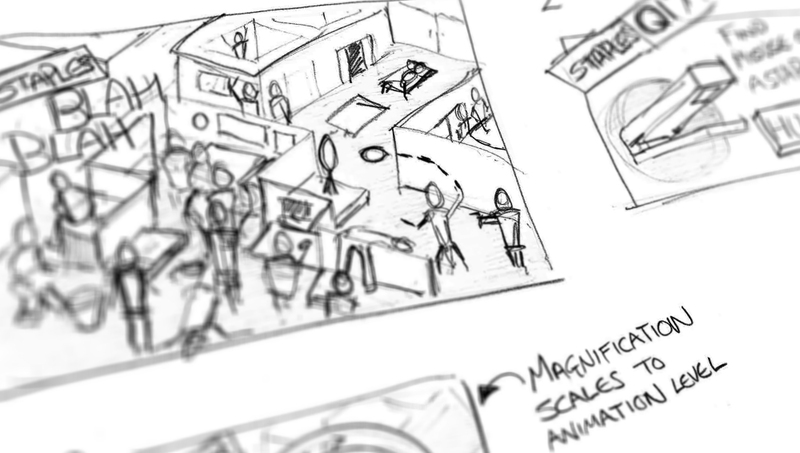 The characters would be GIF’s within the environment, and acting out a looping story, when the viewer interacted with a character or a hazard, this unlocked another section of the office, giving them a new set of hazards to explore. 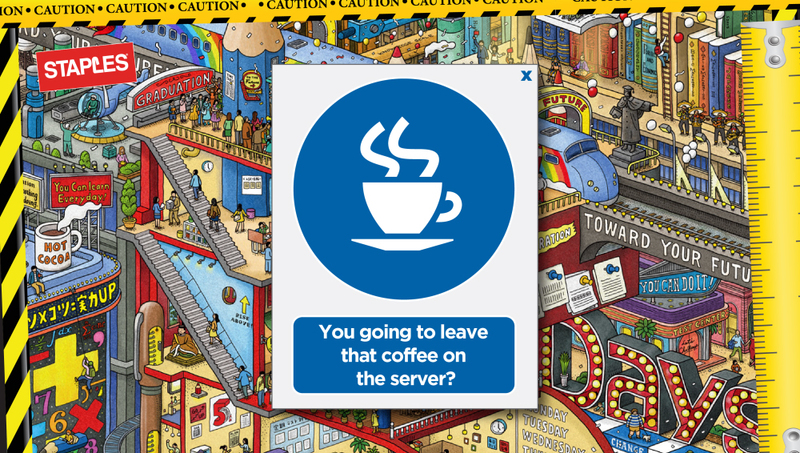 The game also had a “Where’s Wally” style hide and seek component to it which allowed users to gameify their experience. 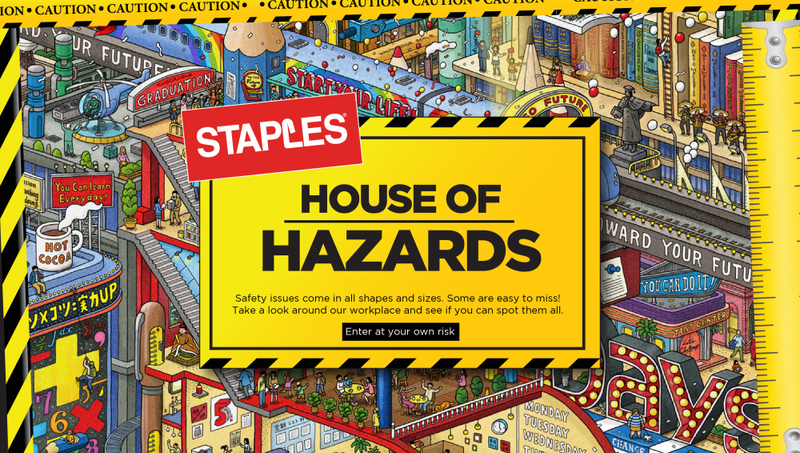 The end goal is to “share their experiences and complete the game, learning about all of the hazards.